One of the ways that Matt and I spend quality time together and reconnect with each other after coming home from work is to cook! We cook together approximately three or four times a week. We keep a binder of all of our "go to" recipes, but at least once a week we like to experiment with a new recipe and see whether we want to add it to our binder. 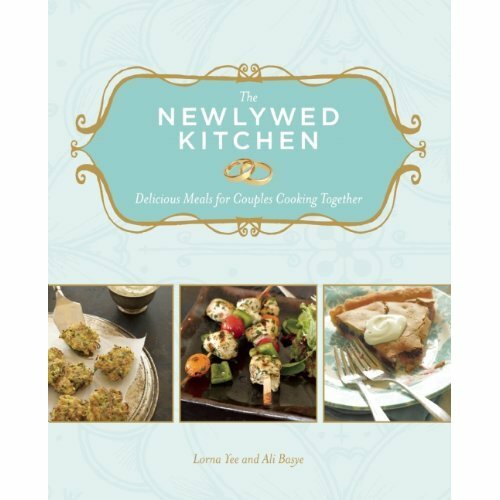 Enter to win The Newlywed Kitchen: Delicious Meals for Couples Cooking Together. It has "83 recipes that gradually increase in complexity and ultimately serve as building blocks for beginning cooks." I love the idea of scaffolded practice! I can't wait to get my sample copy, so I can start testing it out. Enter to win by Tuesday, April 27 at 11:59 EST (one entry per person, please--although you can get your partner to enter, too!). This sounds like a cool cookbook! my captcha word is "splendid"- what a nice way to start my day! 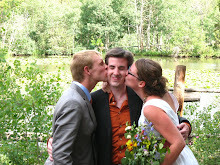 @ Lillian: Don't fret: This blog welcomes people of all last names! It's just that I had to switch to the three-letter entry a few contests ago when the winner was Amanda Ho. and two people came forth to claim the prize. Aack! Looks like a pretty amazing cookbook. :) Fingers crossed! Katie Mac. This would be a great way to welcome home my Love after his extended tour overseas! Cat Maldo - such a great idea! Sarah Mag - you can only imagine the names I get called, right?!?! Sarah Koe. Thanks for the opportunity! PERFECT because my husband is growing to love cooking - now even more excuses to cook together! im buying this even if i dont win!!! we love to cook dinner together as well :) He's much better at throwing together random delish dishes and I am the meticulous baker! Ya-hooo! Love, love, love it. This is great. My fiance loves to cool and is always looking for new recipes. I'm just starting to dip my toes into the cooking waters and this would be a great help! My fiance and I love to cook together too! We're not married, but his mother gave us the Newlywed Guide to Decorating so I suppose we can have the cookbook as well! Emily Gag - thanks for the giveaway! 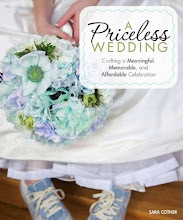 O this would be a great gift for my friends Bridal Shower next month! 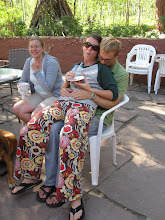 My husband and I have been married for almost 10 yrs (sept) and I think this is a great way to reconnect also! what a great idea! Julie Bayerl - that looks like a great cookbook, thanks for offering this giveaway on your blog! Ooh this would be perfect! 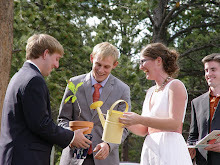 We're getting married in 32 days, too!! Colleen Ros - OMG this is on my Amazon wish list! oooo...sounds like so much fun. I'd LOVE this! We cook together as part of our quality time too!
! : ) I really want this one! A friend has this cookbook and it's pretty fantastic. Thanks for the contest! We love cooking together! What an awesome cookbook idea! Love it! My fiance and I spend a lot of time in the kitchen and I've been looking for a good cookbook for two person meals! We love to cook together too! I would love this book! My partner is the talented chef, and I am the one that spills things all over the carpet. This book would be a nice way for us to get in the kitchen together without him being bored and me being useless. Thank!